Be sure to get your daily dose of exercise and Vitamin D to help prevent chronic disease, especially as you age, according to an expert medical panel at the On Lok Sustainable Long Term Care conference. Janice Schwartz, M.D., Professor of Medicine of University of California San Francisco, provided an in-depth look at the current research on how Vitamin D works in the body, including the fact that Vitamin D insufficiency is very common – especially among women. Beyond osteoporosis, chronically low Vitamin D levels are associated with an increased risk of diabetes type 2, multiple sclerosis, Parkinson’s disease, and dementia. Vitamin D insufficiency is common because modern life has greatly reduced daily exposure to sunlight, the primary method our bodies use to synthesize Vitamin D. Changing dietary patterns (choosing “easy” processed/fast foods over fresh natural foods) have also played a role. The only accurate method to determine the level of Vitamin D in your body is through a blood test, typically referred to as a 25 OHD test. The general consensus (U.S. Institute of Medicine & Endocrine Society) on a deficient level of blood serum Vitamin D: less than (<) 20 ng/mL. There is still an ongoing debate in the medical and research community on the optimal level of Vitamin D in the body, with most recommendations clustering around 30 ng/mL. The best choices to get your Vitamin D are (in order): sunlight, food, and then supplements. 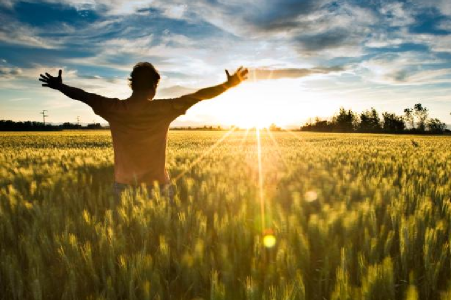 Sunlight: The human body is very adept at using sunlight to synthesize Vitamin D – about 15 minutes of direct sunlight on the neck, and uncovered arms & hands is enough to produce 1,000 IU of Vitamin D for a person with light/fair skin. People with darker skin typically need about double the amount of time in the sun. Food: Fish (salmon, herring, trout, catfish, cod liver) are excellent sources of Vitamin D, typically delivering over 2,000 IU per serving. Fortified cereal, milk, and orange juice are other good choices. If serum levels of Vitamin D stay chronically < 20 ng/mL, Vitamin D supplements can be useful, at around 800 IU – 1,000 IU per day. However, care should also be taken to avoid very high levels of Vitamin D in the body (hypervitaminosis D). Vitamin D toxicity can cause calcification and damage to internal organs, resulting in kidney stones and renal failure, among other bad outcomes. Gordon Lithgow, PhD, Professor at The Buck Institute, spoke about his research on the mechanisms of aging, including tips on how to slow the aging process. Several lifestyle factors can influence the pace of aging in humans, and one of the best tools available is physical exercise. Physical activity is good for cardiovascular health, and also supports brain health – physical activity helps you produce more brain derived neurotrophic factor (BDNF), which encourages the brain grow new neural connections (at any age!). Physical exercise also has an almost immediate effect on human DNA, through a process called epigenetic modification (basically switching individual genes on & off). 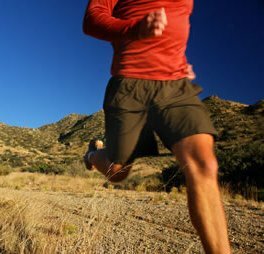 Physical exercise causes epigenetic modifications in muscle tissue, priming your muscles for use and future strengthening. Curious to learn more? 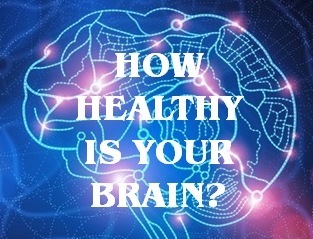 Try the Healthy Brain Test and learn how to keep optimal cognitive health, along with your risk factors for Alzheimer’s disease. See also: Is Gluten Bad For Your Brain?